Working with Power Up North London to explore putting solar panels onto the stable roofs, which will generate two-thirds of our electricity. Working out how to change people’s behaviour to increase recycling and decrease electricity usage. Planning workshops to encourage local people to reduce their energy usage, and to help older people with fuel poverty issues. We have already installed advanced heating controls that are saving 20% of our overall gas bill. 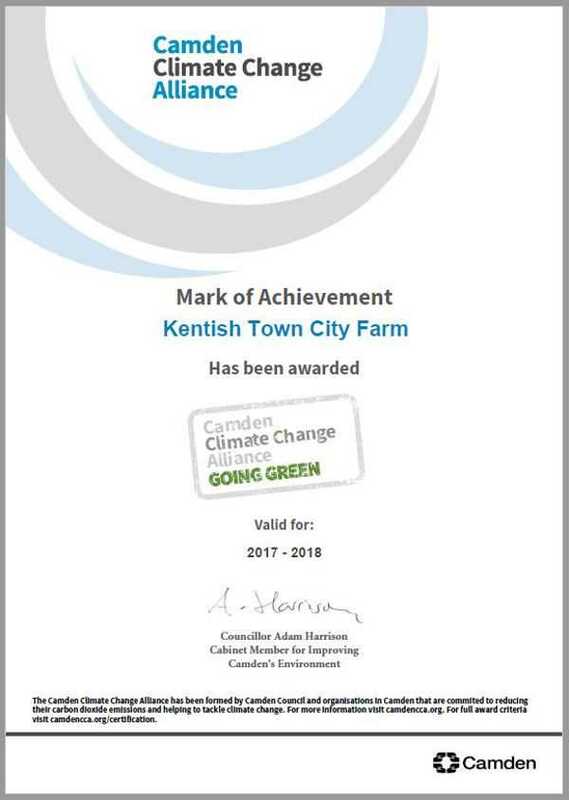 We have also joined the Camden Climate Change Alliance, which helps of hundreds of Camden organisations to access resources and know-how to reduce our environmental impact and costs. Recently we were awarded their Going Green mark, in recognition of our work so far in making a positive impact on our environment.